There are a flee over 6500 spoken languages in the world today, yet with the current globalization, English seems to be the most common tool in conducting global communication and is simply the universal language of the world. As the fastest spreading language in the human history, English is spoken by 1.750.000.000 people worldwide, that’s 1 in every 4 world citizens. There are close to 385.000.000 three hundred eighty-five million native speakers in the countries like the USA, Australia, and Canada, and 1.000.000 millions of people around the world have studied English as a second language. As a result, learning English has become must for everyone living in any part of the universe. 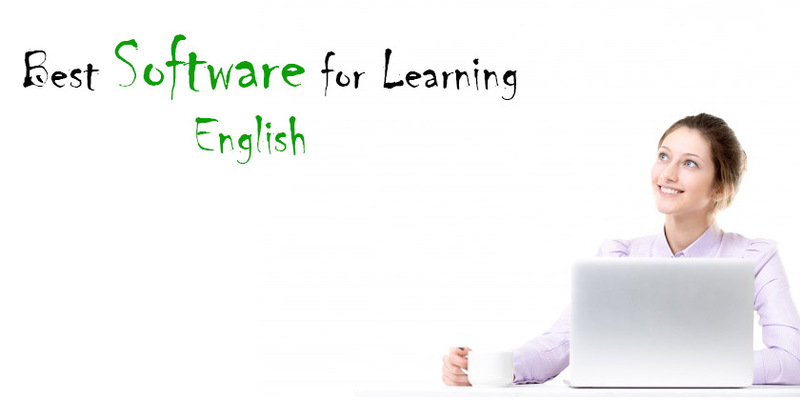 Hence in the article below, I introduce the 5 best software for learning English as a second language. You can use many of this software freely anytime anywhere, so let’s get started. Duolingo is a best language-learning program to compete with paid programs. Duolingo offers 20 language programs that fully finished and mature, which is impressive for a completely free service. Duolingo has 20 fully developed courses: English, Danish, Dutch, Esperanto, French, German, Greek, Hebrew, Irish, Italian, Norwegian, Polish, Portuguese, Romanian, Russian, Spanish, Swedish, Turkish, Ukrainian, Vietnamese, and Welsh. These programs are considered very useful. I recommend this software for the people who want to brush up their English level. You can improve your English with this software easily. In addition, it has English test and English test for business. You can obtain a certified proficiency score, video interview, and writing sample. Rosetta Stone is one of the best software to learn ESL (English as a second language). It contains high-quality language lessons that help you in learning English from the beginning. In Rosetta Stone, you can use your own language and is specially designed to start slow and get speed up as you learn from a fast, immersive learning experience. You can enter its studio and schedule a session with a live coach to practice your speaking skills and speak with other learners and native speakers. Immediate access to all levels of the world’s best language learning program. Access on any device, including an award-winning mobile app. The most advanced speech technology with the only product that updates as new features are released. Download lessons to your mobile device to continue learning offline. English live is another great application which will help you to learn ESL quickly and easily from anywhere and anytime. English live contains a useful private lesson, group conversations and lessons that are designed to help you improve your listening, speaking, reading and writing skills. EF English live has a placement test and will award you a certified English diploma for each level you pass, making it easy to demonstrate your English level to universities and employers worldwide. They give you the services of a live teacher where you can work with a private teacher and discuss your weaknesses in English. Moreover, this software offers many useful conversation classes, articles and other useful lessons which teach about four modules: listening, speaking, reading and writing. You can target your studies with specialized courses for business, travel or test prep and master the language skills you need. Exceller utilizes the integrated skills approach (listening, speaking, reading and writing) together with grammar practice. This has been proven to be the best way to learn, English as a second language, by people whose own language is not English. Exceller is designed for individuals who already know the basics of English and want to improve and become more fluent in English. They provide grammar practice for ESL comprises of 92 lessons, with more than 3400 exercise items. Exercise types include multiple choice, fill in the blanks, listen and speak, read and write, vocabulary acquisition and reading comprehension. Exceller offers 13 apps for students with iPhones and or IPads. Each app is designed for a different part of the English language, such as reading, vocabulary, tenses or other grammar. But unfortunately the apps are paid applications, you have to purchase each app separately for help in each specific area. FluentU is another good platform that contains different kind of videos that native speakers watch, and is designed to help you enhance everyday English. You can find clips from movies, cartoons and commercials to inspiring talks which are organized in different levels, from preliminary to advanced levels. Every word comes with an image, audio, in-context definition and multiple example sentences. FluentU also contains multimedia flashcards, interactive subtitles, downloadable transcripts and more! You can improve your English with movie trailers, music videos, news and inspiring talks in FluentU.